A brief overview on cultivating this versatile fruit, which arrived in South Africa in the 17th century. According to the UN Food and Agriculture Organization, Uzbekistan, Turkey and Iran are the top three producers of apricots. Apricots can be grown for their fruit (fresh or dried), for their juice, or for making jam and sweets. Prunus armeniaca is a deciduous tree between 8m and 12m tall, with a trunk up to 40cm in diameter, and a dense canopy. The leaves are ovate (egg-shaped), 5cm to 9cm long, and 4cm to 8cm wide. The flowers are between 2cm and 4,5cm in diameter, with five white to pinkish petals; they are produced singly or in pairs. The tree needs a relatively cold winter (between 400 and 600 hours below 7,2°C) for proper dormancy and bud development. It does best under irrigation. 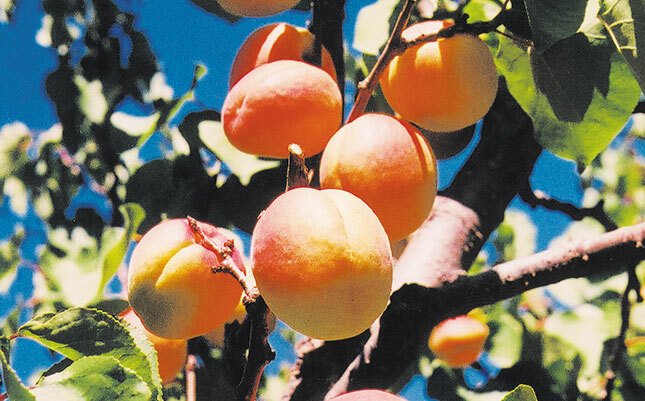 Apricot trees thrive in well-drained loam soils at least 1,5m deep. The recommended intra-row spacing is between 5m and 6m, while interrow spacing should be 4m. After ploughing the land, use a disc harrow to produce a relatively smooth and well-prepared surface. The planting pits should be about 300mm x 300mm, and 500mm deep. To avoid shock, plant the young trees when they are in deep dormancy (from mid-June to mid-July). 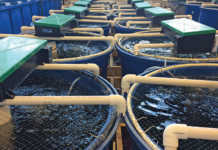 Later planting will result in poor growth. READ How many harvests are left in your soil? 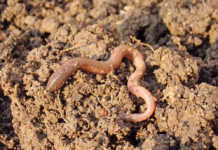 Fertilisation: Monitor the nutrient levels by carrying out a leaf analysis and soil test. Leaf analysis shows whether the tree has withdrawn the necessary nutrients from the soil. If the levels of specific elements are low, use supplements to correct these. If you choose not to carry out a soil analysis, test the soil pH and apply fertiliser accordingly. The volume and frequency of irrigation depends on many factors: soil type, water quality, climate, season, type of fruit, age and size of trees, growth phase of the trees, the type of irrigation system used, and whether organic mulch such as straw is used. Sandy soil has a low water-holding capacity. If your trees are planted in this soil type, apply a small volume of water relatively often. Clay soil has a higher water-holding capacity; thus, apply more water at a time, but less often. Grass and weeds absorb considerable quantities of nitrogen and water, to the detriment of the trees. As most of a tree’s feeding roots are in its drip area, keep this area free of annual weeds and grass. Slash the area between the rows regularly; this will eventually eradicate the aggressive annual weed and grass species, enabling the more acceptable perennial grasses to form a ground cover. Keep this cover short by mowing it; this will help preserve moisture in the soil and prevent erosion. The Mediterranean fruitfly (Ceratitis capitata) and Natal fruitfly (Pterandrus rosa) are common pests of this crop. It is symptomised by numerous cream-coloured maggots inside the fruit. Another pest is the false codling moth (Cryptophlebia leucotreta). This has a reddish-white worm stage that leaves dark brown frass around the pip of the fruit. Bacterial canker (Pseudomonas syringae), dieback (Eutypa Armeniaca) and crown gall (Agrobacterium tumefaciens) are diseases that occur frequently in the summer rainfall areas. Unfortunately, very little can be done to control these once they occur in the orchard.